Obviously, I’m up to no good if I’m not walking a dog. Obviously, I am seconds from committing a felony since I don’t have a Huskie holding me back. I can understand the sentiment. To a dog walker I’m not fully committed to the neighborhood. To them I am a stranger walking around aimlessly. Take the other day. I was ambling down the sidewalk when a lady and her terrier rounded the corner. When she saw me, she jerked the dog’s chain and quickly headed in the other direction. The move upset me. I wanted to shout “What? What did I do?” Instead, I looked behind me for coming down the street was a street cleaning machine shooting a tidal wave of water onto the sidewalk. Maybe I should get a dog. The main problem is I don’t want one. Don’t get me wrong. I like dogs. I just don’t like the day-to-day responsibility. Maybe my best option is to rent one. I wonder if there is a service that will drop off a canine right when I’m ready to take a walk. And if this service is available, would I be able to pick from an exhaustive list to compliment my mood and the type of walk I want to take? Pug: If I’m only walking to the corner store. Puppy: If I’m looking to meet women. Basset hound: If I want to sit on a park bench. Bull dog: If I want something that drools more than I do. German shepherd: If I’m feeling European. Poodle: If I want best in show. 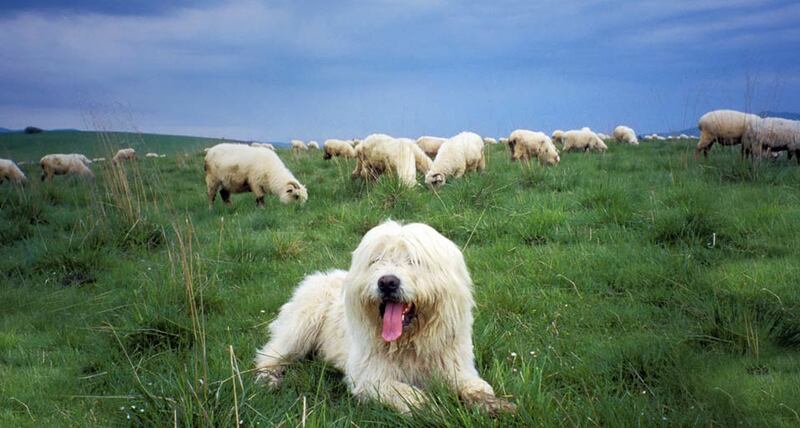 Sheep dog: If I want to corral any neighborhood kids. Irish wolfhound: If I get tired and need a lift back home. Greyhound: If I want a pet to run around the lake for me. Rottweiler: If I run into another Rottweiler. Chihuahua: If I decide to go to a movie and need to stick a pet in my coat pocket. 1/2 poodle 1/2 pomerainian mix if you want to step in dog poop every morning at 5am before delivering papers.